Geotypografika added to Alltop feed, at the bottom! 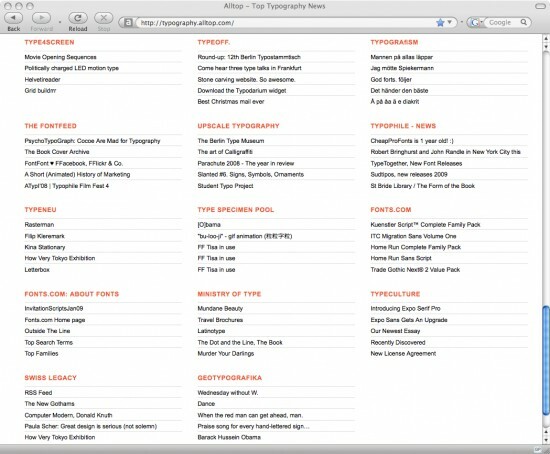 Aktuell: Alltop Typography is a powerful tool for keeping abreast of contemporary typographic discussions and information. 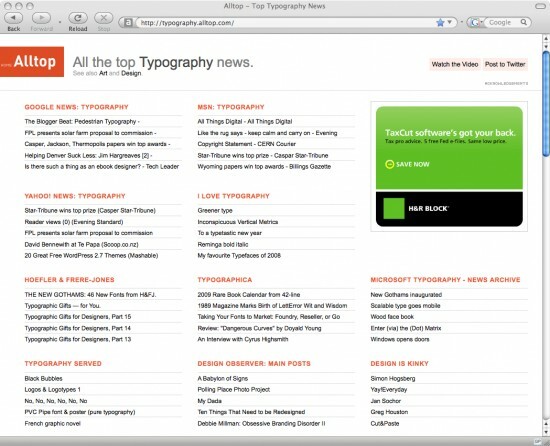 Part of the Alltop information superhighway, Geotypografika is humbled to be included as of yesterday, January 20th, 2009. Above: Asoko. Way at the bottom, perfecto! This entry was posted by Erik Brandt on Wednesday, January 21st, 2009 at 12:08 PM	and is filed under Aktuell, Education, Globalization, Graphic Design, International, Internet, Minneapolis, News Links, Typografika, Typography.